I started shooting TV commercials in the early 1980’s for all the major advertising agencies in Australia. By the end of the 1980’s Henry decided to pursue his passion for drama. First as an Operator on Australian and US Features including “PITCH BLACK” starring Vin Diesel, “THE MARINE” starring John Cena, “AQUAMARINE” and “THE CONDEMNED”. He also operated on US TV shows such as “FLIPPER”, “ROAR”, “FARSCAPE” and “TWENTY THOUSAND LEAGUES UNDER THE SEA” starring Michael Caine. 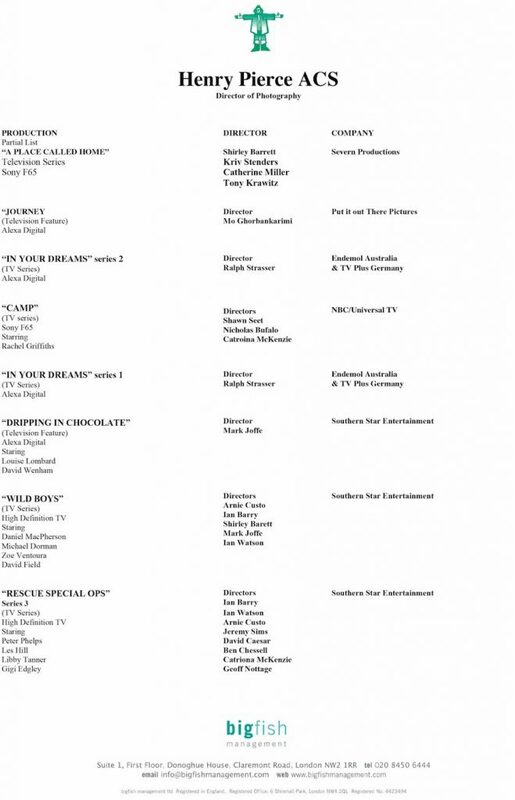 His first television credit as DP, “MISERY GUTS” won an ACS gold award for cinematography. 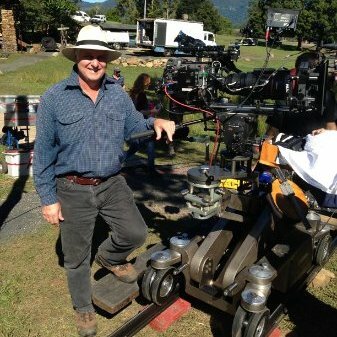 Since then Henry has been Director of Photography on Television series such as “McLEOD’S DAUGHTERS”, “WILD BOYS”, “RESCUE SPECIAL OPS”, and US TV series “PONDEROSA” and “CAMP”. He has also filmed a series of Telemovies called “BLACK JACK” starring Colin Friels, winning a National ACS Golden Tripod award. Other Telemovies include “DRIPPING IN CHOCOLATE” starring David Wenham, and “JOURNEY”.